Wall leak detection can involve a couple of various approaches that are made use of in spotting water leaks. A few of these leak detection techniques consist of digging and drilling, Infrared Thermography and meter detection. If you think that you have wall leaks, you can rest assured that our skilled wall leak detection specialists can find it. Most homeowners have no inclination of what is behind their walls. It frequently takes the visual sign of water leaks for a property owner to do something about it. Usually by the time you observe a wall leak, the damage has already been done since the water leak has most likely been materializing for weeks or months before it was identified. There is a method to prevent this. 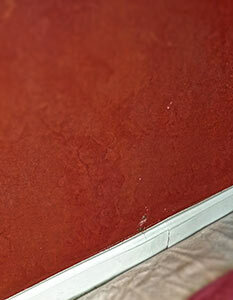 We can discover moisture in the walls of your house prior to the water leak ends up being visible. Early leak detection can prevent the need for damage repair works in the future. With our innovative equipment and substantial knowledge, we can pinpoint any wall leak. Plumbing leaks are a common call for behind the wall leaks. If you think you may have a wall leakage, contact us quickly to stay clear of severe damage to your home. If you think you may have a wall leak, contact Innovative Leak Detection to have it professionally diagnosed.